Like all great writers – and Lawson is among the finest – she tells her story in a deceptively simple and straightforward way…Lawson’s writing is clean, clear and accessible… Like Alistair MacLeod, Lawson writes of bone-searing tragedies without shrouding her novels in impenetrable darkness. She leaves room for light – and hope. 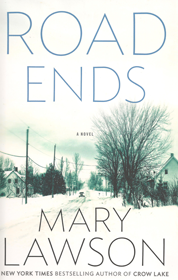 Reading Road Ends was like getting the favourite book I wanted for Christmas; my only regret was when I had finished it and had to leave Megan, Tom, and the rest of the residents of Struan. 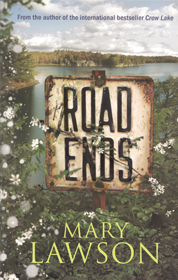 Road Ends is the type of book you can curl up in and read in a day: it’s beautifully written, never dull, and best enjoyed with a steaming mug of cocoa. Austere, humane and accomplished, Road Ends depicts a wilderness of the heart through which some roads pass. This is a very readable book, its narrative compelling, its setting richly drawn, its characters sympathetic. 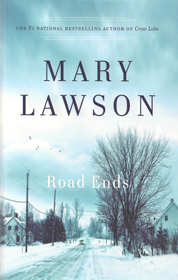 What sets Lawson apart is storytelling so matter of fact (in the best possible way) that readers are able to feel the emotional intensity of the characters’ situations without succumbing to moroseness… Admirers of Lawson’s previous novels will not be disappointed with the author’s latest effort. The same easy grace and economy of language that drew readers into those earlier stories are employed to full effect, and the setting along with the welcome reappearance of a few familiar characters imparts a sense of homecoming… Complex and satisfying. Subtly funny, touching in ways that are at times shockingly true, awe-inspiring for its use of language.